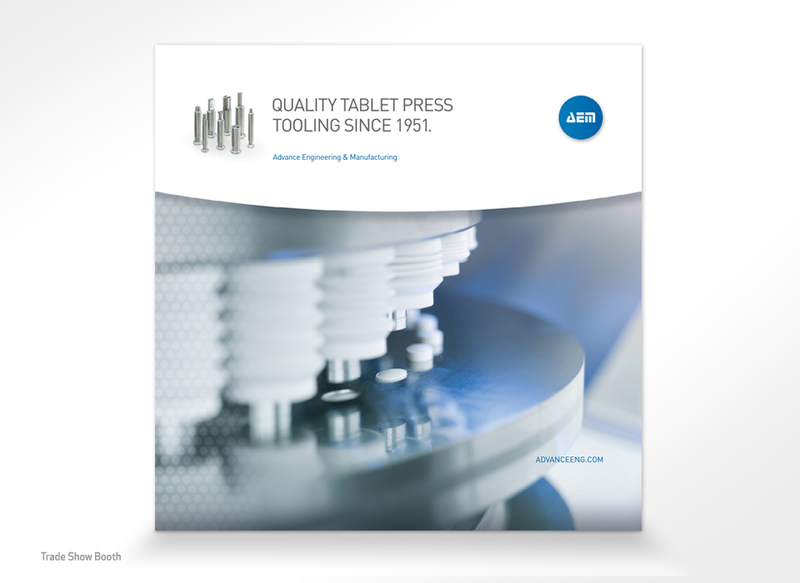 Advance Engineering & Manufacturing (AEM) supplies quality punches and dies to the pharmaceutical industry. 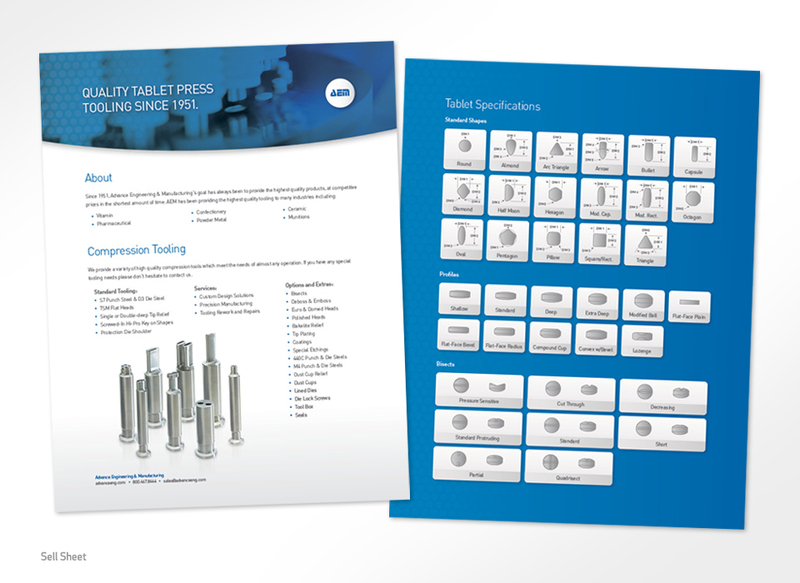 Their tools are used to press and form pills and tablets for some of the most well known pharma companies in the world. 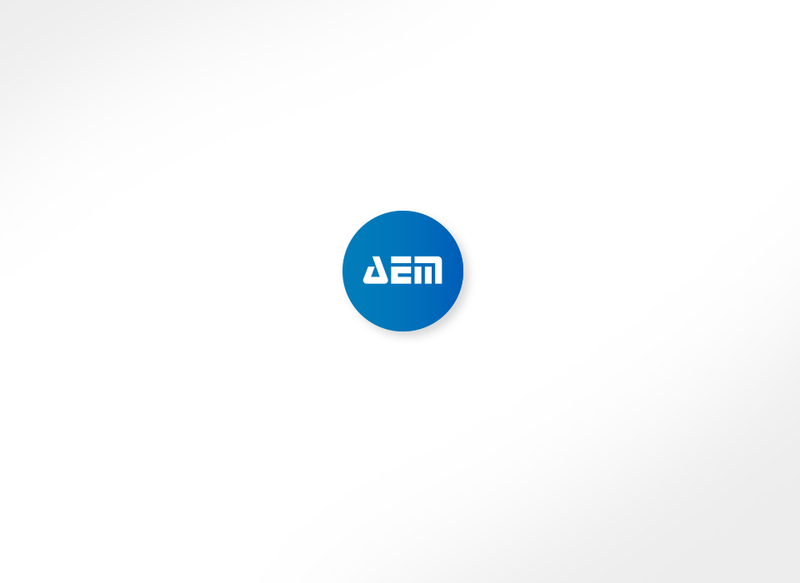 Wilson Tool International (an existing client of MJ Kretsinger) purchased AEM in 2014 and invited our agency to refresh their brand. After conducting a careful analysis of the competition, we embarked on a brand refresh effort. 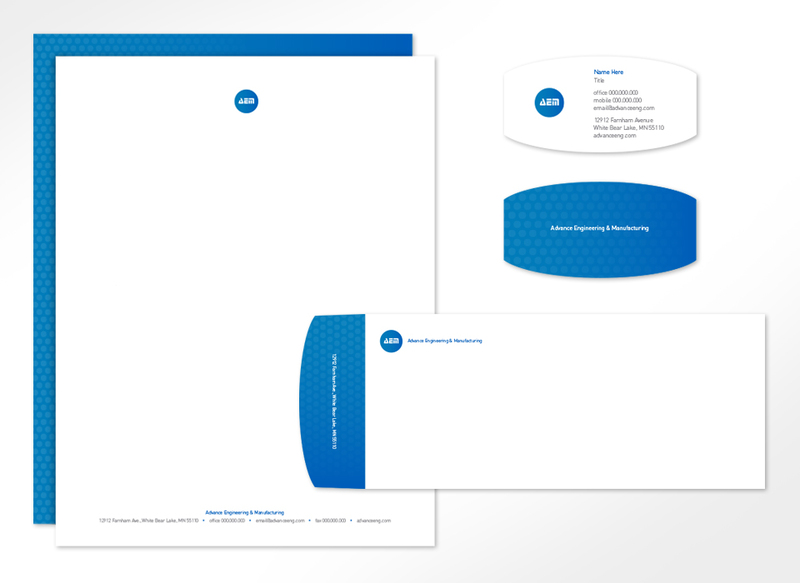 We produced 3 unique logo & stationery concepts – several of which leveraged a unique pill shape and pattern for the logo, business card and brand imagery. When combined with a clean, minimalist look, the outcome was a sophisticated and elegant identity that’s ideally suited for the pharmaceutical industry. 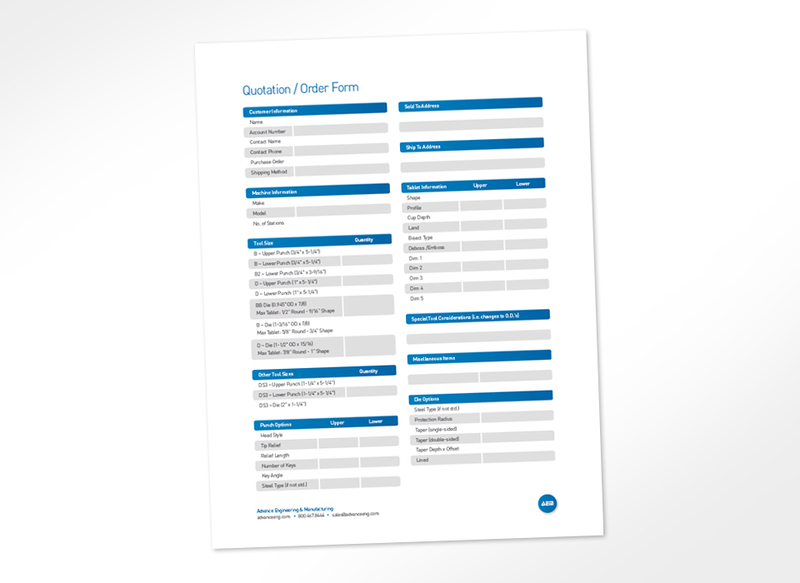 We also produced sales materials and trade show graphics for the client.